Milo was owned by Gillian Hutcheson and Stuart Ogilvie of the Gabisa kennel. He won a total of 4 Challenge Certificates, all with Best of Breed and a further 4 Reserve Challenge Certificates. 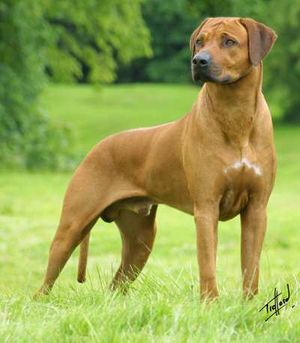 He has sired two UK Champions and is behind many of the dogs in the show ring today.